Pinching of tissues in the front of the ankle is called anterior impingement. Athletes who have had several mild ankle sprains or one severe sprain are most likely to have anterior impingement. This is especially true for athletes who repeatedly bend the ankle upward (dorsiflexion). Irritation along the front edge of the ankle can lead to impingement. A similar problem can happen after an ankle sprain. As the torn or ruptured ligament heals, the body responds by forming too much scar tissue along the front and side of the ankle joint. This creates a small mass of tissue called a meniscoid lesion. Dorsi flexing the ankle can trap the tissue between the edge of the ankle joint, causing pain, popping, and a feeling that the ankle will give out and not support your body weight. Anterior ankle impingement may feel like ankle pain that continues long after an ankle sprain. The ankle may feel weak, like it can’t be trusted to hold steady during routine activities. 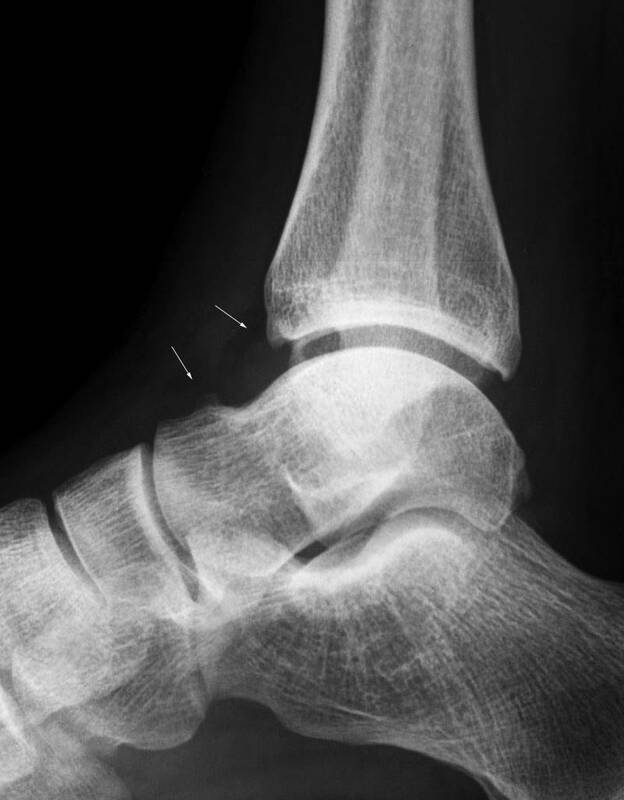 When anterior impingement comes from ligament irritation, pain and tissue thickening are usually felt in front and slightly to the side of the ankle. This is the area of the anterior talo fibular ligament. The pain worsens as the foot is forced upward into dorsiflexion. If the ligaments have irritated the synovium of the ankle joint capsule, throbbing pain and swelling from inflammation (synovitis) may also be felt in this area.